In the early 1970s, Nobel Prize-winning DNA co-discoverer Sir Francis Crick and his colleague Leslie Orgel proposed that in the distant past, an extraterrestrial race sent a spacecraft loaded with microorganisms to seed the Earth with life. 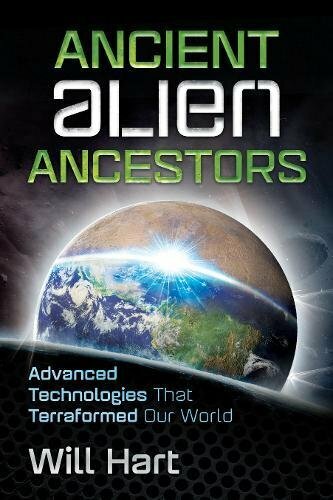 Now, more than 40 years later, the fields of space research and biotechnology have advanced to the point where they can back up Crick and Orgel’s claims about our ancient alien ancestors. 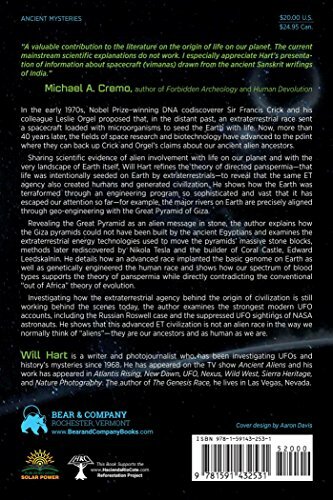 Sharing scientific evidence of alien involvement with life on our planet and with the very landscape of Earth itself, Will Hart refines the theory of directed panspermia–that life was intentionally seeded on Earth by extraterrestrials–to reveal that the same ET agency also created humans and generated civilization. 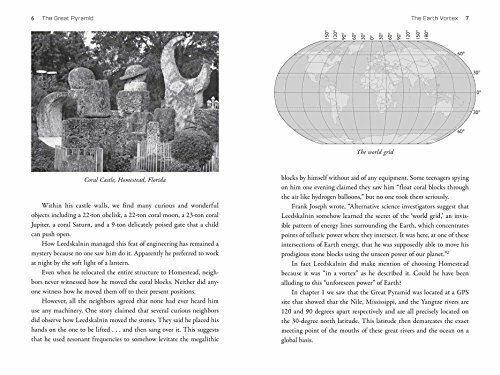 He shows how the Earth was terraformed through an engineering program so sophisticated and vast that it has escaped our attention so far–for example, the major rivers on Earth are precisely aligned through geo-engineering with the Great Pyramid of Giza. 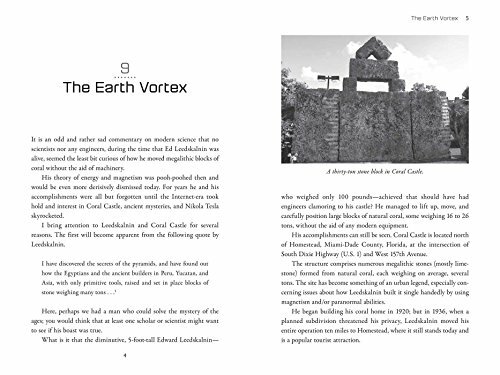 Revealing the Great Pyramid as an alien message in stone, the author explains how the Giza pyramids could not have been built by the ancient Egyptians and examines the extraterrestrial energy technologies used to move the pyramids’ massive stone blocks, methods later rediscovered by Nikola Tesla and the builder of Coral Castle, Edward Leedskalnin. He details how an advanced race implanted the basic genome on Earth as well as genetically engineered the human race and shows how our spectrum of blood types supports the theory of panspermia while directly contradicting the conventional “out of Africa” theory of evolution.